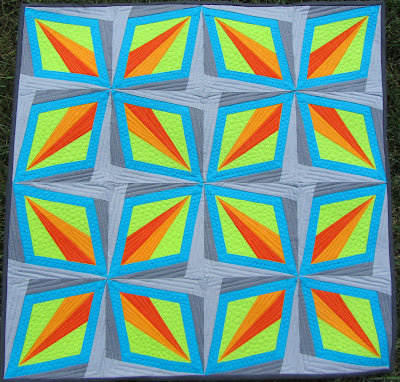 So, you may have already see this over at The Modern Quilt Guild's blog, but my Wonky Road quilt was selected by Michael Miller fabrics to appear in its booth at QuiltCon! How cool is that? Or should I saw, "Yee Haw" and channel my inner cowgirl since this quilt is about to head to Texas. 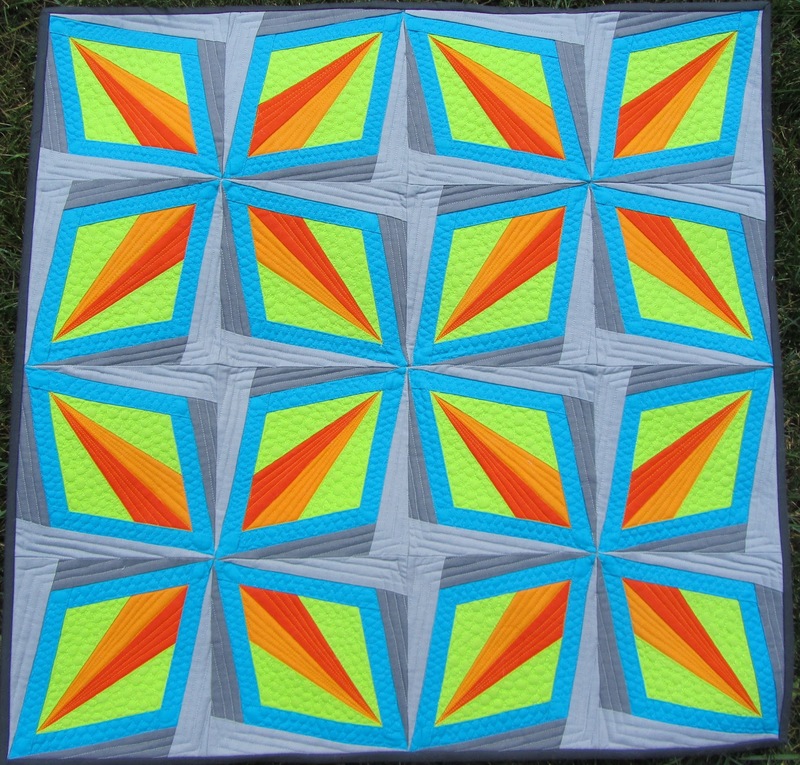 This quilt will join my Dazzling Diamonds quilt which will be in the juried show. If you see me at the QuiltCon, stop me and say hi. I'd love to meet you. So wonderful! Congratulations on two great quilts. Congratulations on both quilts! Dazzling Diamonds was one of my favorites at the LQF. See you in Austin!